Express Animate is free animation software that gives you the ability to animate shapes, text and imported images. GifSplitter can split gif animation to image file(s) list. Then, you can select any frames of the gif animation, and modify them as you like. This software allows you to turn SWF format into animated GIF image. Just load your Flash file and click "Convert"! You will get tiny GIF animation image, which may be used on your site instead of hard Flash. Synfig is a powerful, industrial-strength vector-based open-source 2D animation software package, designed from the ground-up for producing feature-film quality animation with fewer people and resources. .
Synfig is a powerful, industrial-strength vector-based open-source 2D animation software package, designed from the ground-up for producing feature-film quality animation with fewer people and resources. A straightforward desktop app to streamline the process of creating GIFs for users for personal or business purposes. This handy tool allows everyone to make their own original gifs, with unique features like filters. Beneton Movie GIF is a complete GIF editing tool. It supports over 48 file formats such as BMP, GIF, JPG, and PNG. Drag-and-drop allows to move frames quickly, and multiple frames selecting makes it easy to delete, copy, cut, paste, or move frames. Find and remove/delete image files (jpg/png/gif/bmp/etc) Software. Voozie Maker, I think you can not understand by its name, that what it actually can do for you, or what is the purpose of this software. 3D Box Shot Maker is an easy and FREE tool to virtually desgin quality box shot as your software box cover. An impressive box shot will make your software outstanding, and easily defeat your competitors at the start. Apex iPhone Video Converter supports to convert your favorite movies from AVI, DIVX, MOV, QuickTime, MPEG, VCD, DVD, WMV, ASF, RM, RMVB to iPhone. What Is Transferring is a easy-to-use packet sniffer for Windows 2000/XP. Acoola Free displays animated images with nice looking transition effects and can be the solution for your web ads. Capture video in real time from video device, such as USB Camera and TV Tuner, such as media files, such as PC screen, such as URL online links and IP Camera or from digital video card or digital camera. 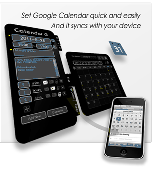 Calendar G is a handy desktop tool to edit Google Calendar. eezPix Photo Organizer is your creative way of organizing, enjoying and sharing photos. eezPix Photo Organizer is your creative way of organizing, enjoying and sharing photos. It's easy to import photos and create new albums with eezPix. You can even preview and edit photos without importing them to new albums. Large thumbnail and full screen side show enable you to examine and enjoy your collection of photos. AnvSoft Photo Manager is your creative way of organizing, editing and sharing photos. This is a Desktop Edition of Web Cartoon Maker. MatchMover extracts all camera parameters from information contained in a film sequence. - The camera path and all the camera internal parameters such as zoom and distortion. - The coordinates of the 3D points that project onto the 2D point tracks. Kinect BVH Mocap is a simple Windows application that captures 3D motion data in BioVision format (. Free Surfer mk II is a popular popup stopper with cool ? Free Surfer mk II is a popular popup stopper with cool ?Natural? surfing mode, IE Integration, customizable rules, panic button, Flash and Gif Animation disabling and more. One of the most advanced freeware popup stoppers in the market. Works with IE 5.0. With LockWiz, you will never worry too much about the leakage of your personal sensitive date. Once you set lock for individual APPs and encrypt multimedia files - nobody will be able to access them without a correct master password. Photo Editor Software is an efficient & very easy to understand & operate tool. Photo Editor Software provides various features for image editing edit & processing for various purposes like to Make your photo blur or shiny, crop, resize add text etc.